If you are learning English as a second language, your teacher may make you learn certain grammar terminology as you go along. You may be taught such terms as “Present Perfect”, “verb”, “noun” and so on. A lot of students find English grammar terminology difficult, and often, they find it unnecessary. However, learning English grammar terminology is an important step when learning English as a second language. Here are the reasons why you should be using grammar terminology and how it can help you progress as a student. Some teachers will use the actual terminology in class to cut down on the amount of translation. Speaking and reading English in only is a great way to learn the language quicker and more accurately. So, your teacher may use English grammar terminology such as “passive voice” or “adverb”. Some students struggle with English as a second language because of the differences, and the similarities, between certain words and phrases. Learning English grammar terms allows the student to see how things fit together properly. When you learn English Grammar terms, it makes learning much faster. Your understanding of the English language and the grammar within will be much greater. Therefore, it allows you as the student to progress further. Trying to explain grammar without using the correct terminology is going to be extremely difficult. 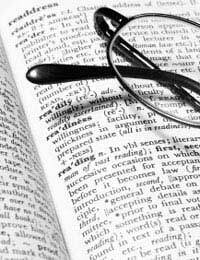 It saves time, and creates a clearer understanding, if English grammar terminology is used. When learning English as a second language, it is easy to side step English grammar. However, by doing so, you don’t learn accurately. Native speakers may find it difficult to understand you, and if you ever need to write anything down you are going to come across difficulties. When your teacher explains English grammar and its terminology, it makes it easier for them to explain it fully. If you know what these mean and can incorporate them into your English, you will have a much better grasp on the language. It will also allow you to use the words correctly when you know how they fit into the English language. If you are studying for any exams or tests to be taken in English, knowing English grammar terminology can give you a head start. For example, if you find a question which asks you to find the noun in a sentence, you can easily find the answer. Learning English grammar terminology allows you to see how the English language fits together. Think of the English language like a puzzle – knowing English grammar and its terminology allows you to complete the pieces of a sentence or a paragraph. It will also be a good stepping block to an English job or a career you had never thought possible. So, next time your teacher starts to teach you grammar terminology, think of the opportunities it will give you when you have finished. You are more likely to be fluent in the English language if you know all the areas of it.